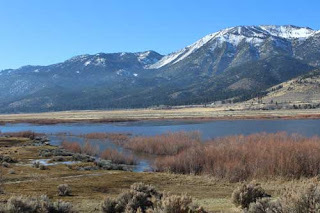 Special Paint Out at the Schneider Ranch in Carson Valley. It will be on Monday the 31st -meeting about 9:00 till noon. Contact Sharon about where they are meeting before hand. The ranch is located off Jacks Valley Road. Go 395 towards Gardnerville but turn right on Jacks Valley Road. Drive up till you see the Volunteer Fire Dept. building, on the right side.Turn right just past this building onto Bavarian. Follow Bavarian until it turns into a dirt road. You are now on Schneider Ranch land. Continue driving on up till you see the big red barns and then find a suitable place to park. The second event: the Tour of Black Rock Press on UNR campus - on Nov. 5th at 10:00. This is located in the west downstairs area of the old student union. Call Kay Genasci 359-2465 for reservations.